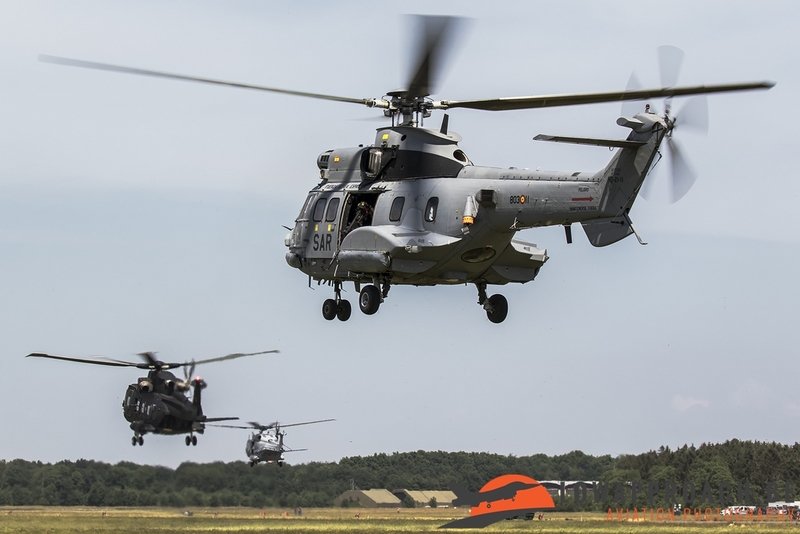 Several international countries took part in the exercise. 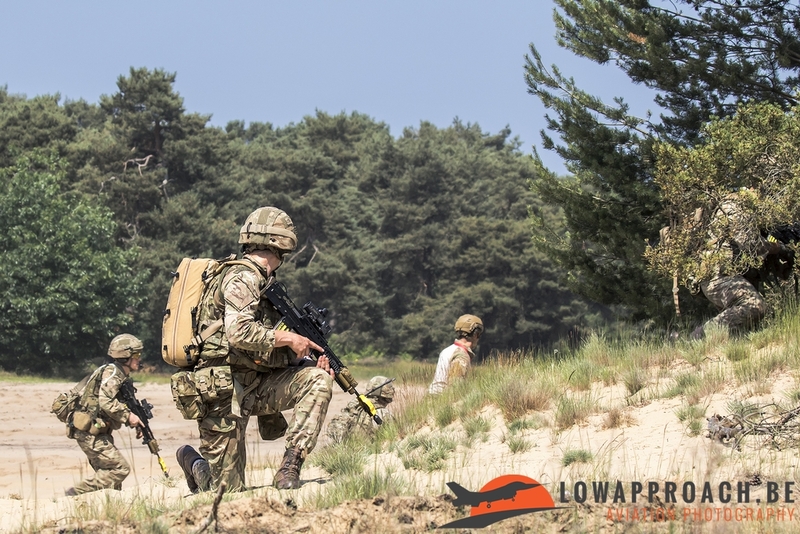 The requirement to take part in this exercise is that the country has to be part of the European Personnel Recovery Centre. 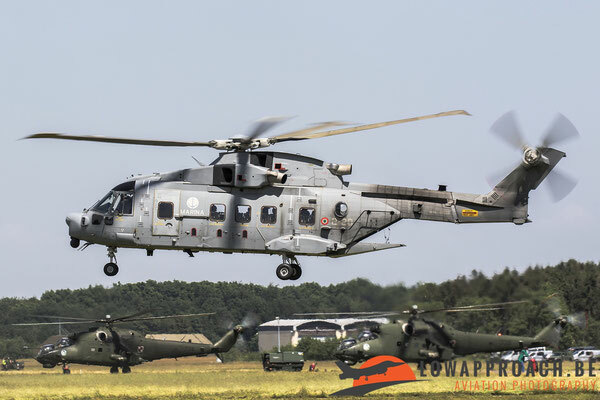 12 countries participated in this exercise and 7 of them provided flying assets. 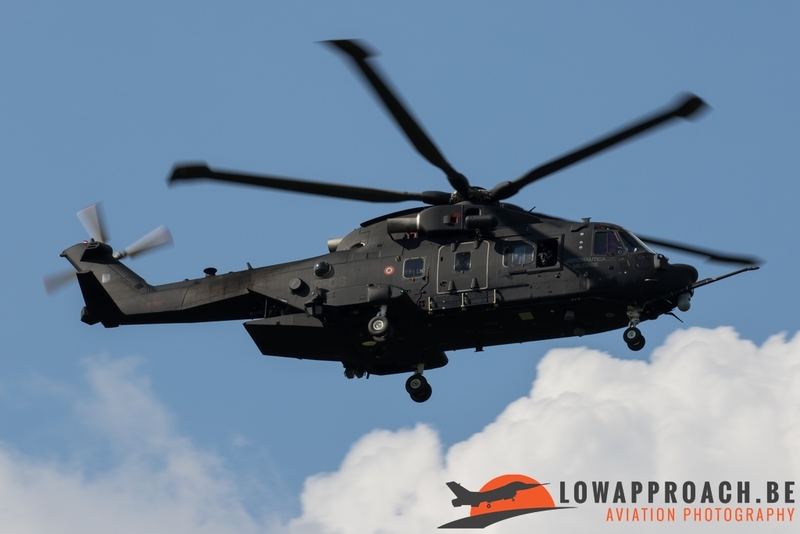 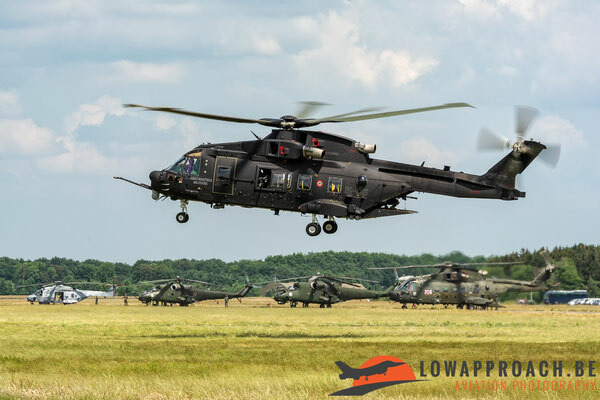 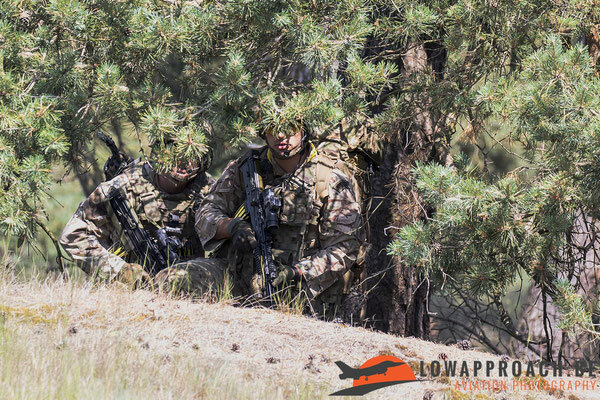 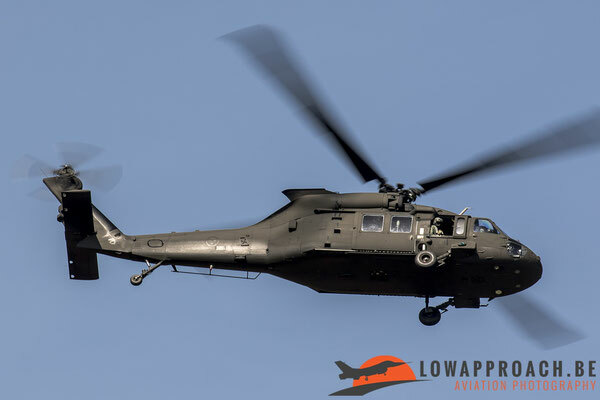 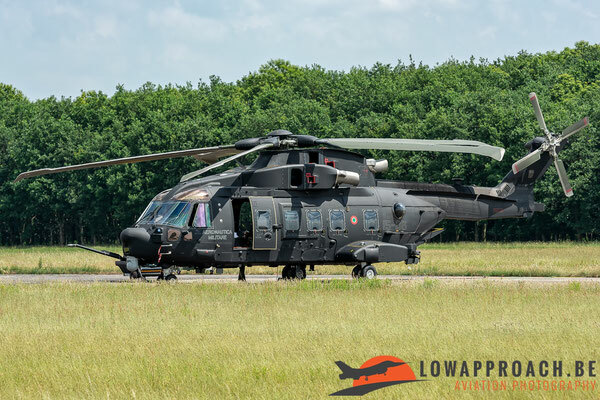 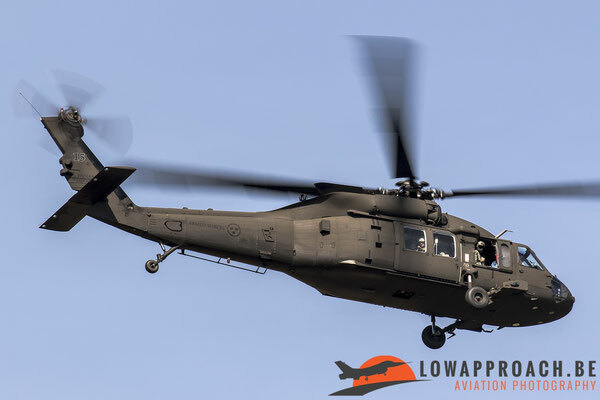 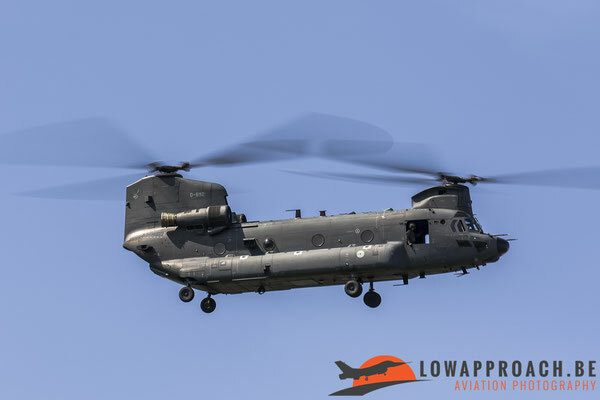 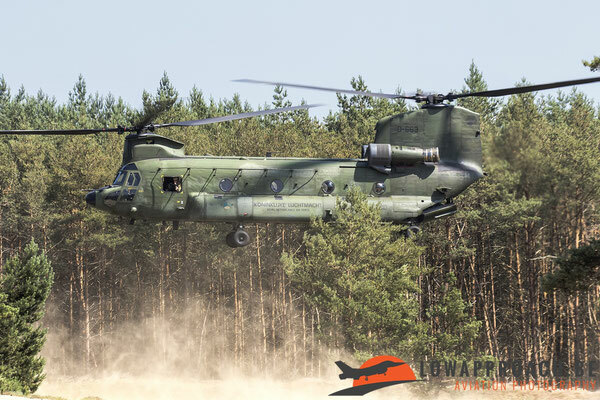 Obviously, as the exercise was held in The Netherlands, the Royal Netherlands Air Force participated with several of their CH-47 Chinooks, AH-64D Apaches and AS-532U2 Cougars. 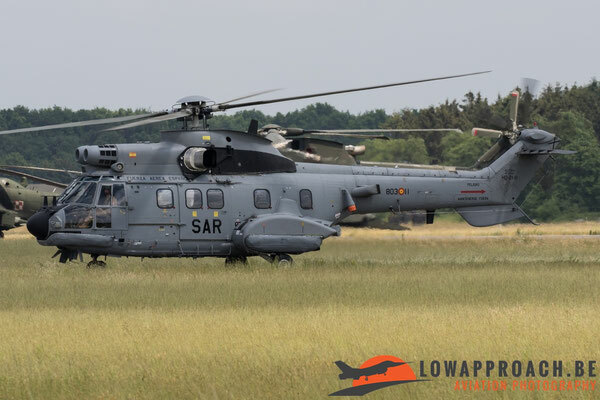 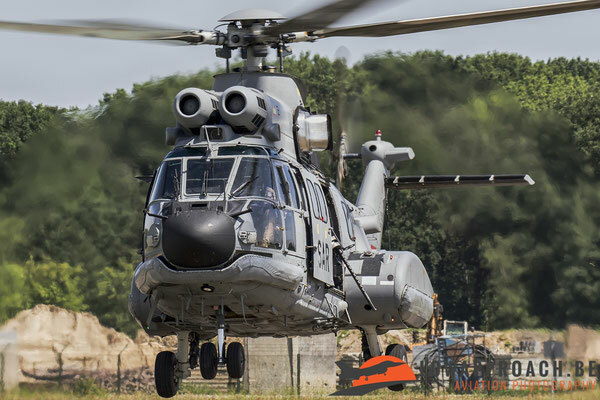 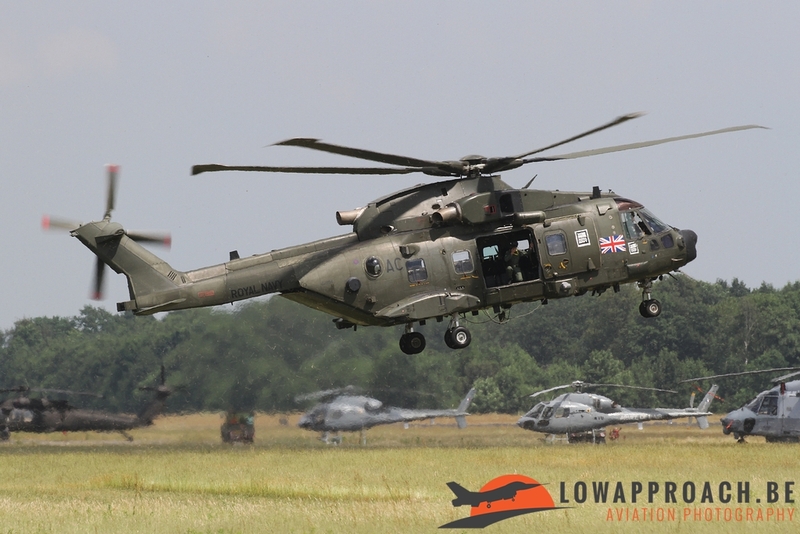 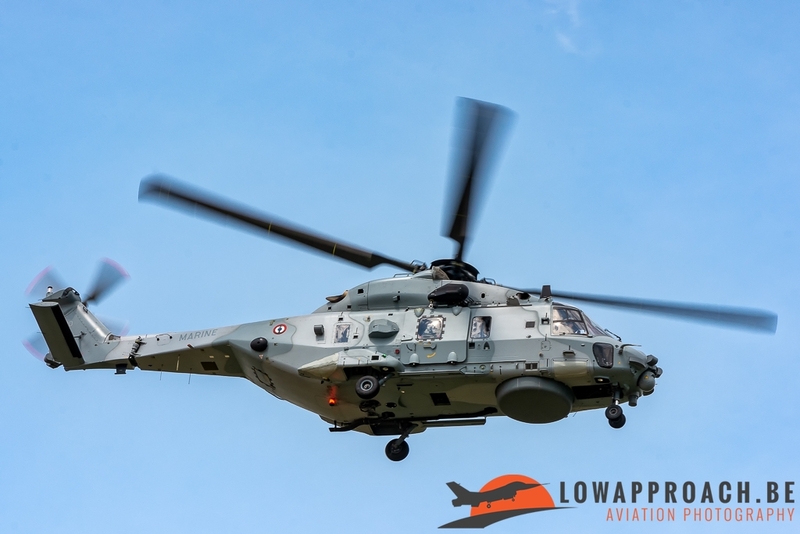 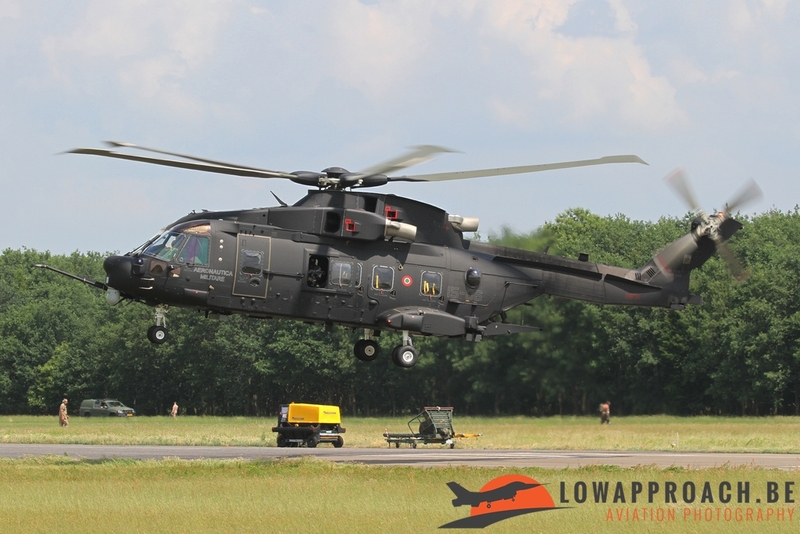 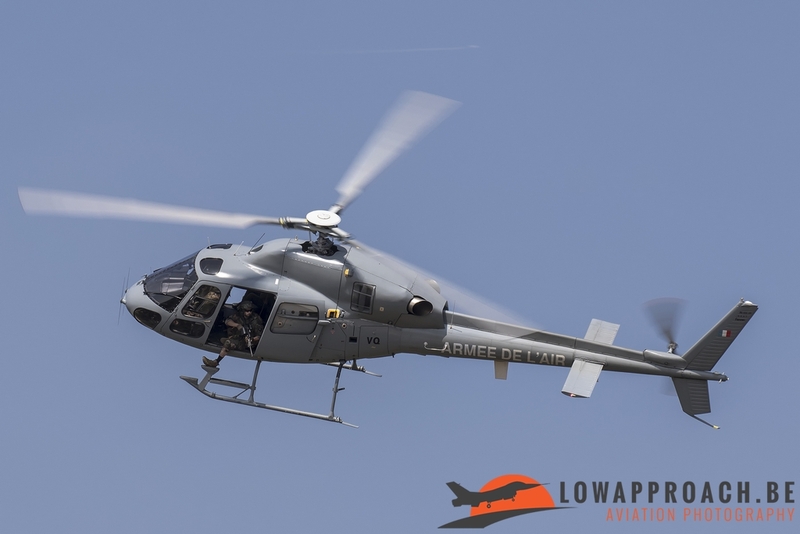 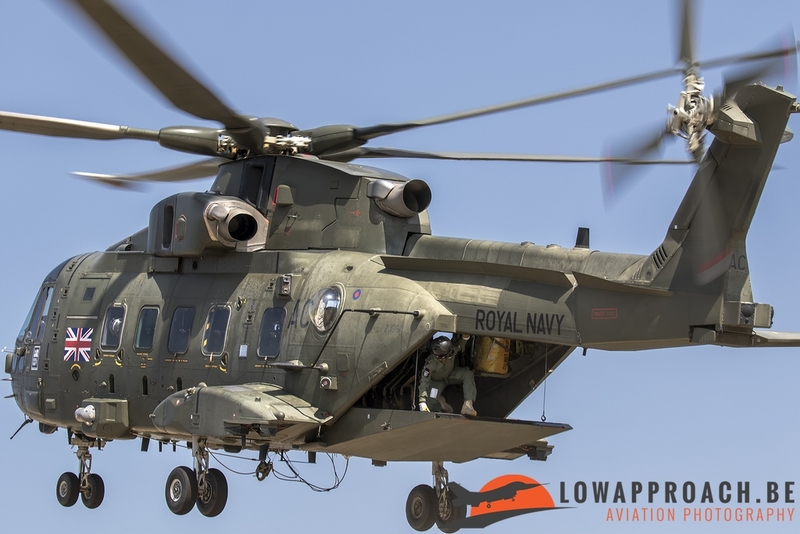 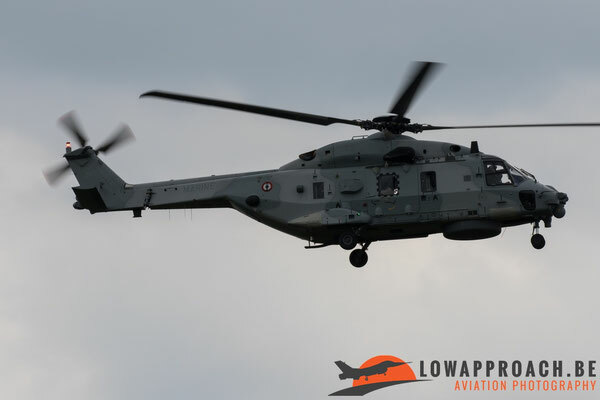 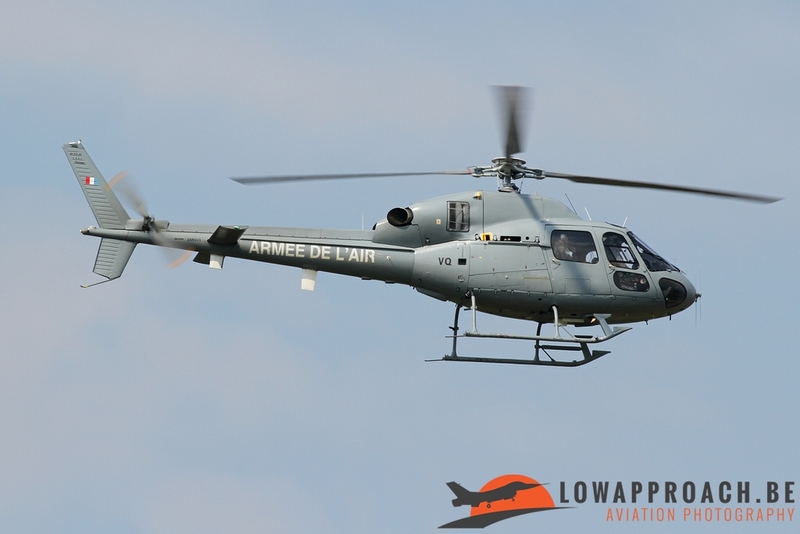 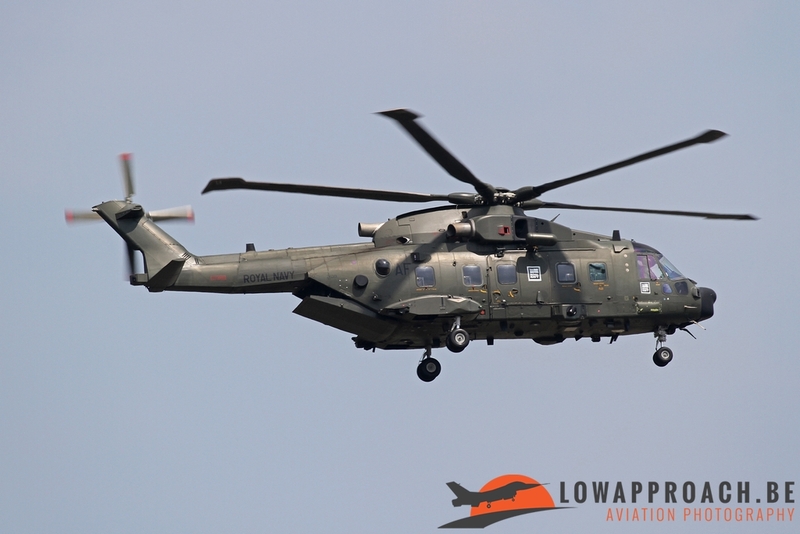 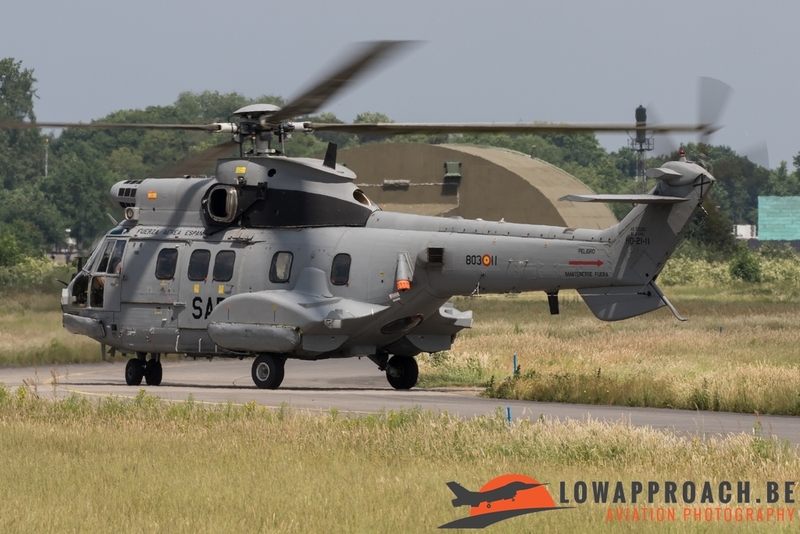 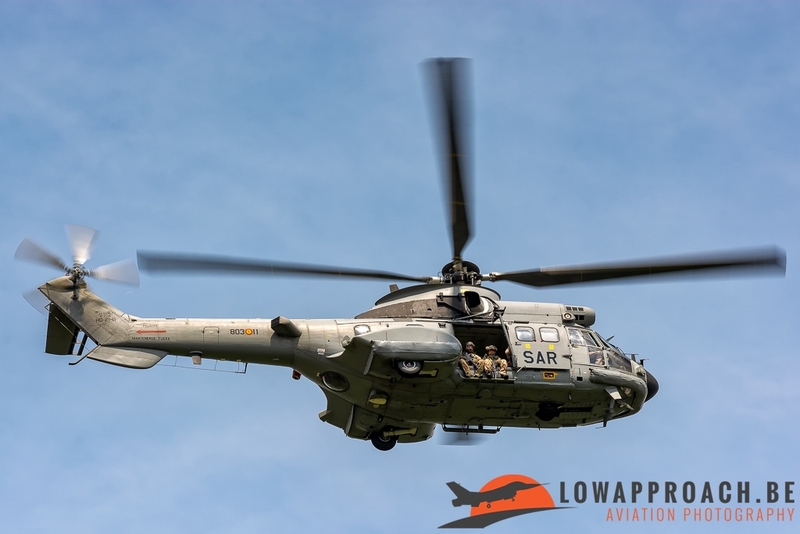 France sent a NH-90NFH and 2 AS555AN’s, Spain participated with an AS-332B and the UK provided 2 EH101 Merlins. 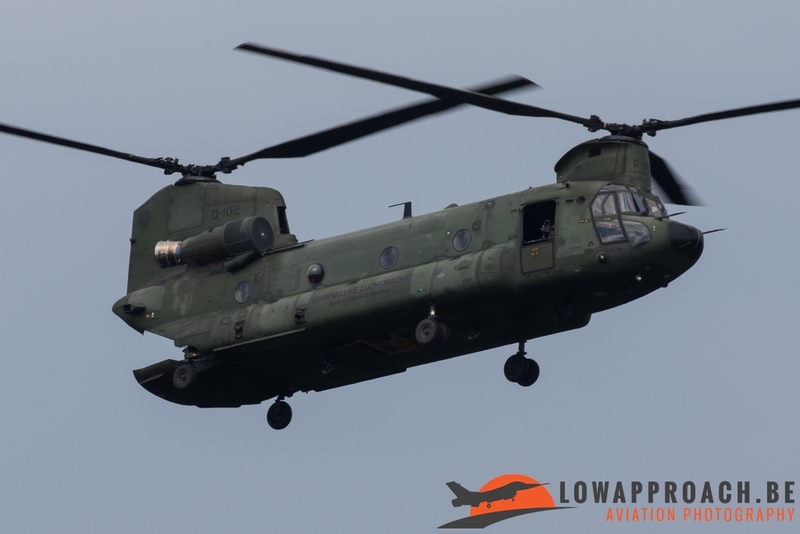 An extremely interesting participant came from Sweden. 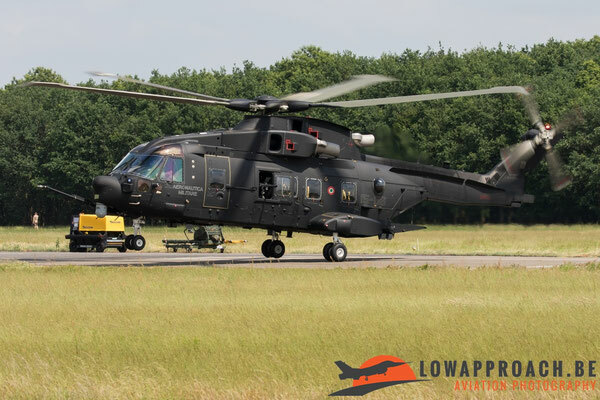 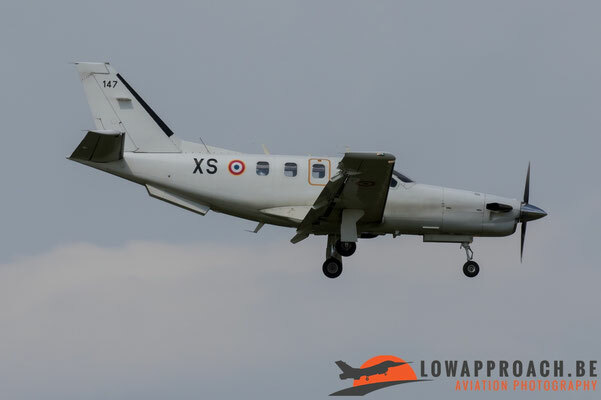 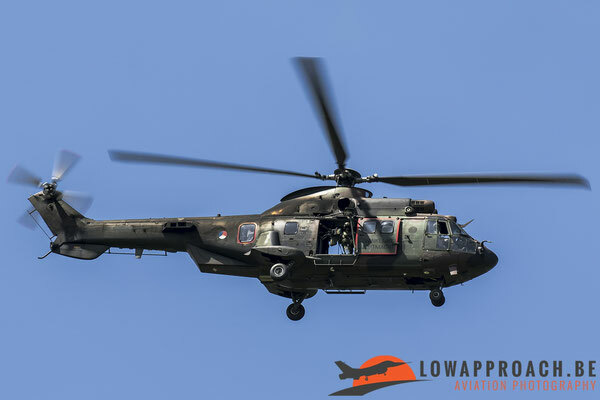 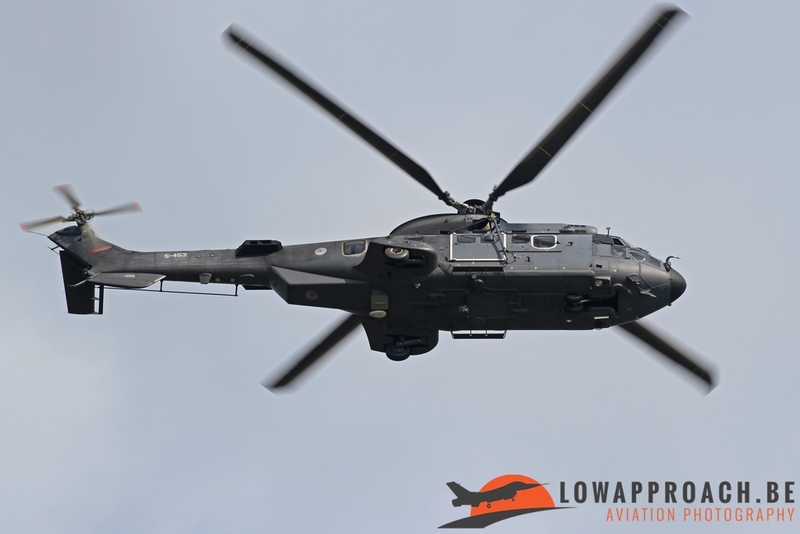 The Swedish Air Force sent one of their Hkp16A’s to Gilze-Rijen, a type that’s rarely seen outside of Sweden. 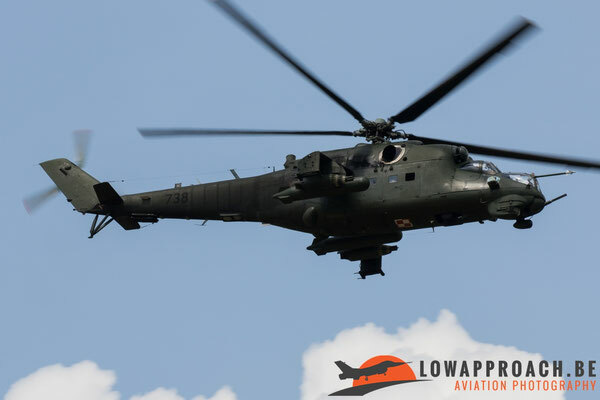 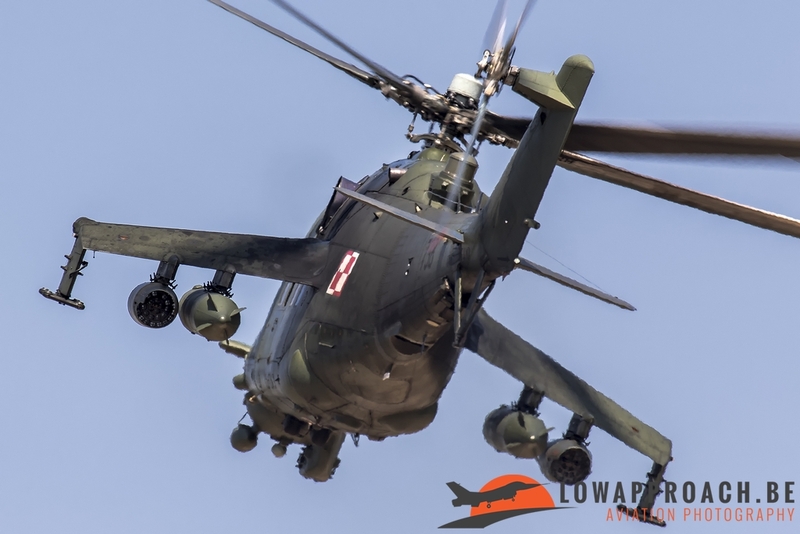 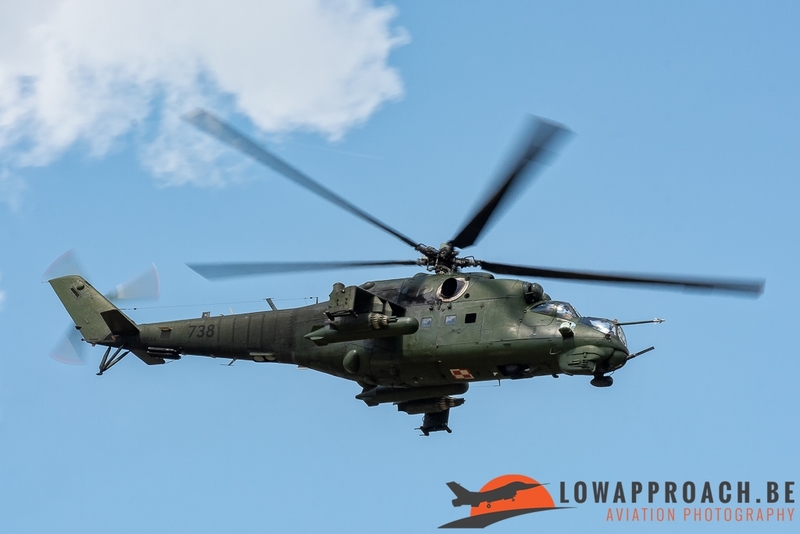 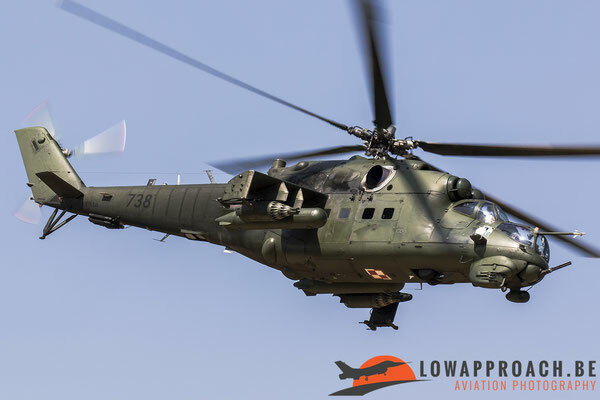 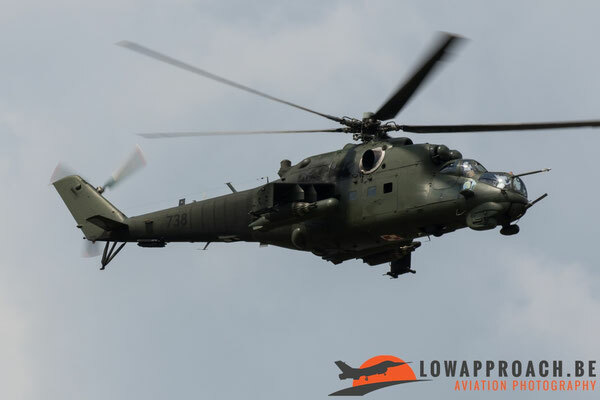 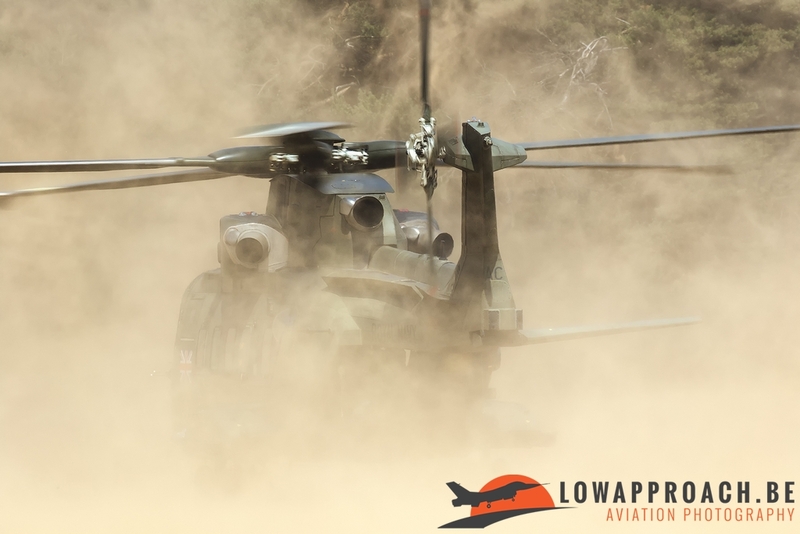 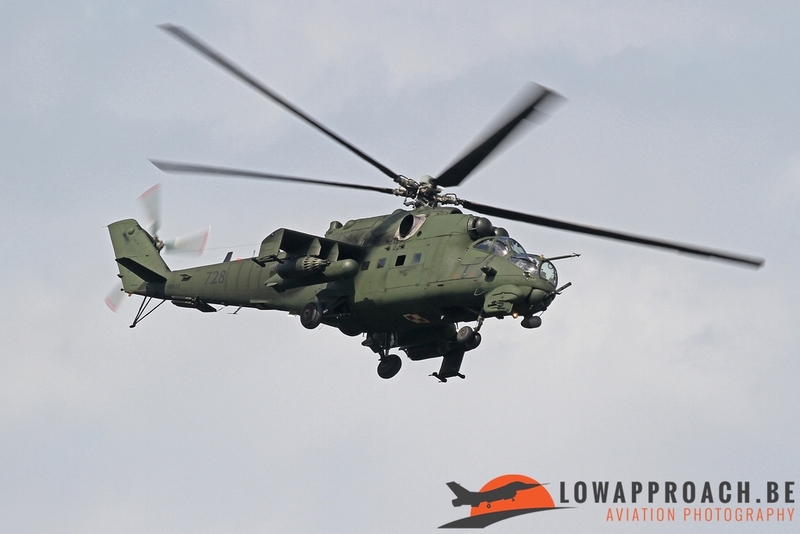 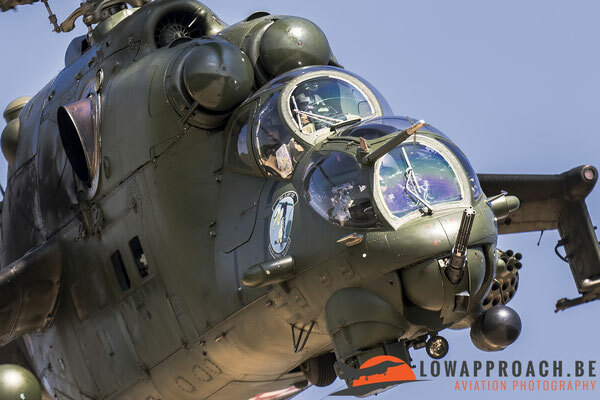 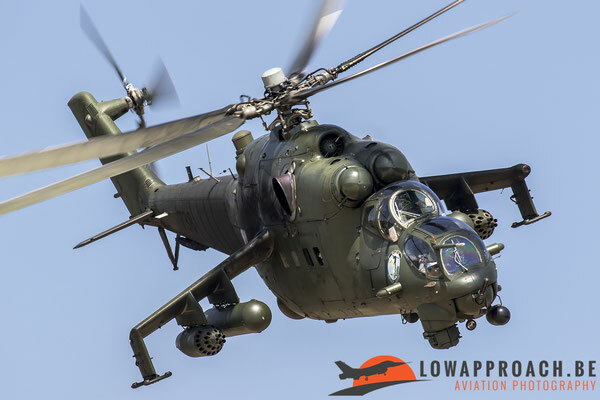 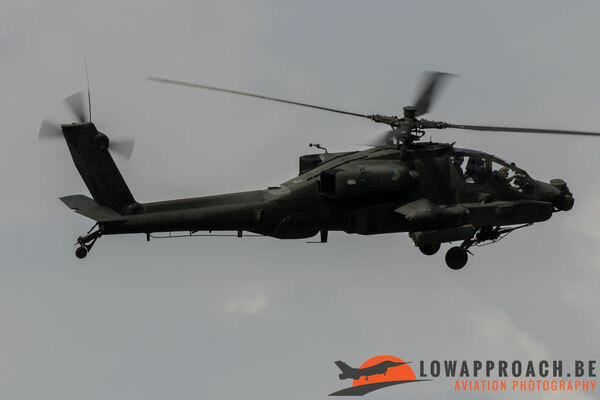 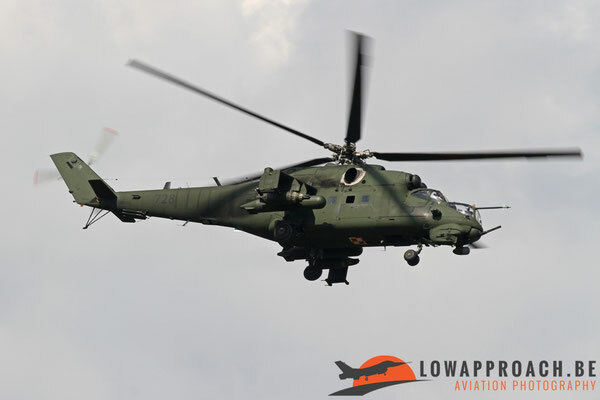 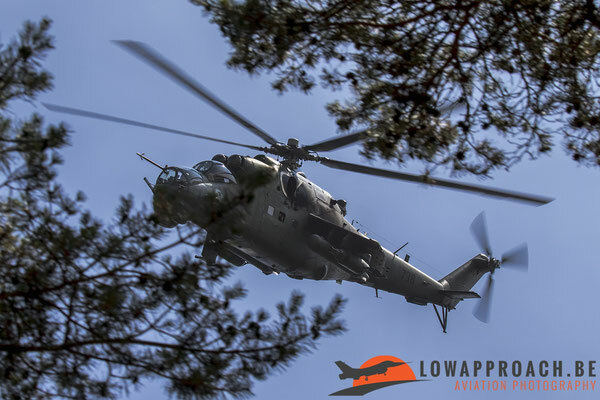 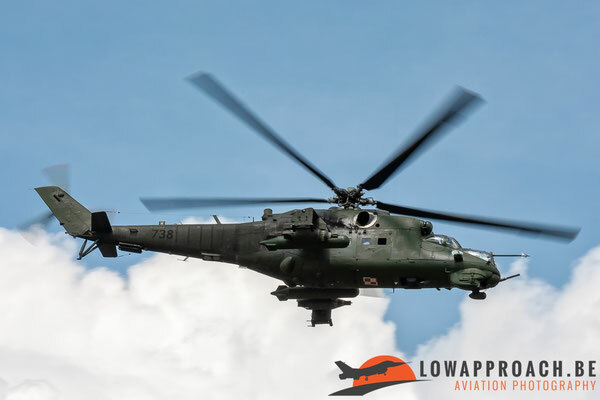 The Polish Air Force participated with 2 Mi-24V’s acting as overhead cover during the extraction missions. 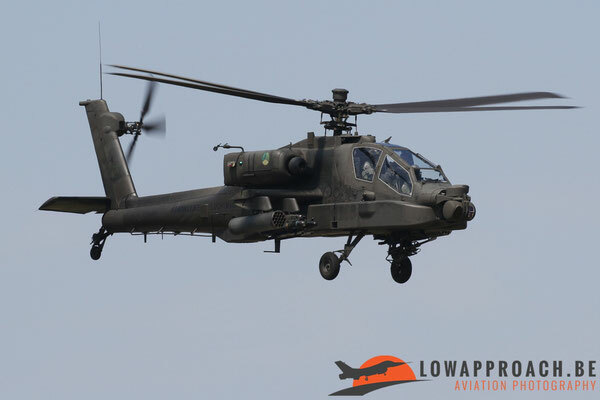 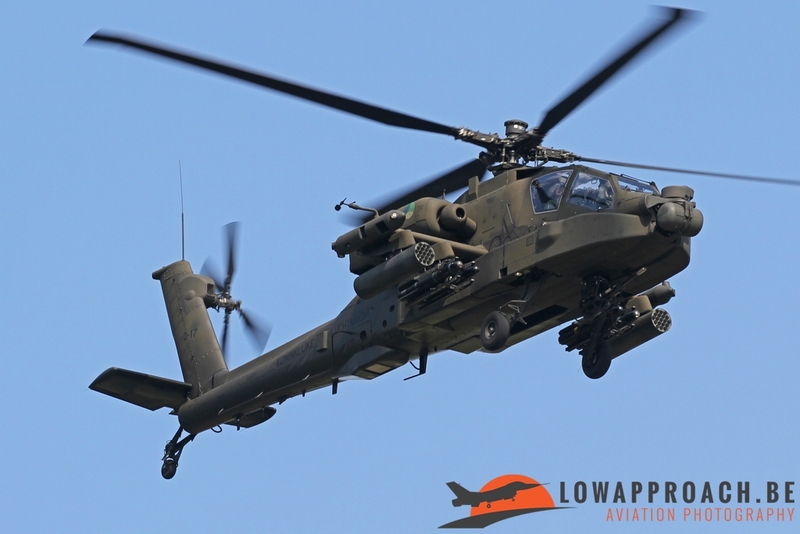 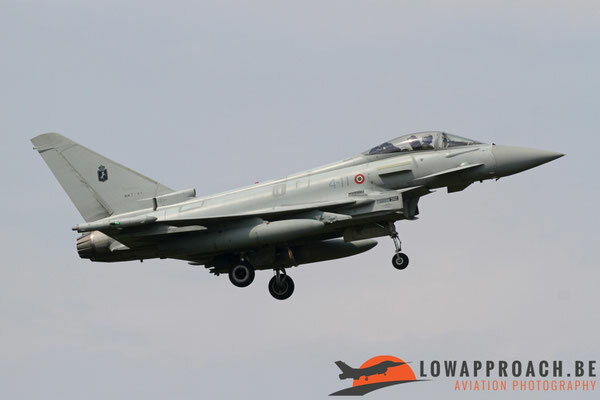 Last country to provide flying assets came from Italy. The Italians were also the ones that participated with the most aircraft. No less than 7 aircraft came over to Gilze-Rijen to take part in the APROC-exercise. 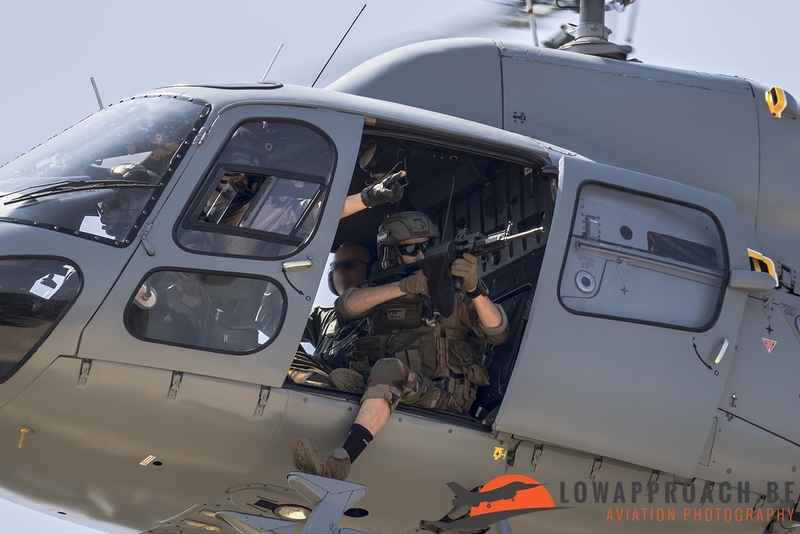 1 UH-101A and 1 HH-101A were sent over to boost the helicopter force. 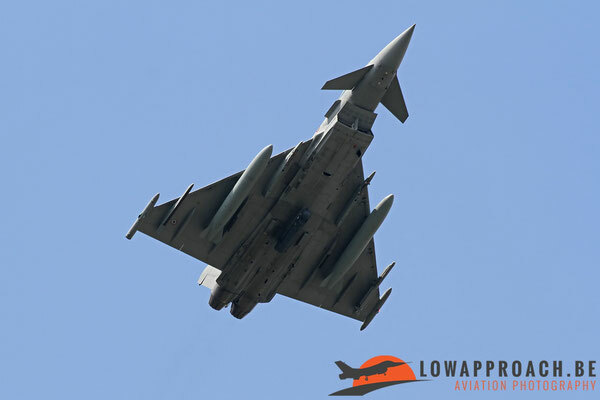 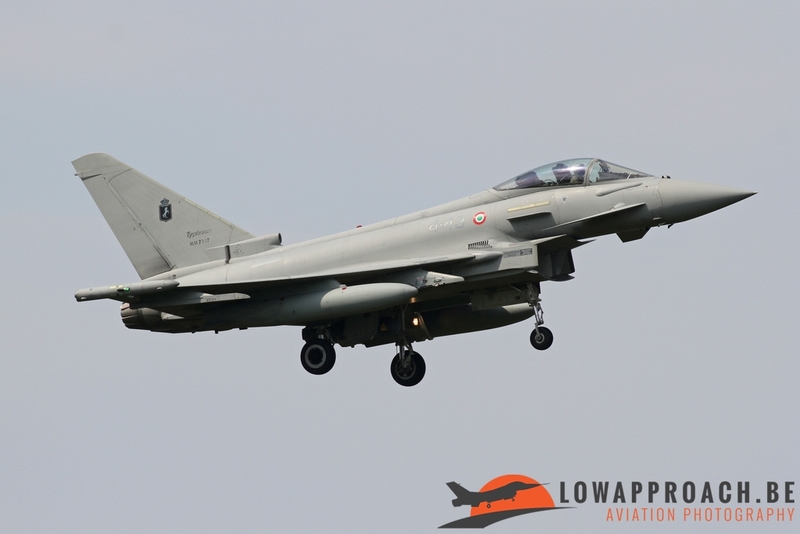 Aside from this the Italian Air Force also participated with 3 F-2000A Typhoons and 2 G-550-AEW’s, although with each mission only 2 Typhoons and 1 G-550 participated (the G-550’s were swapped during the second week of the exercise). 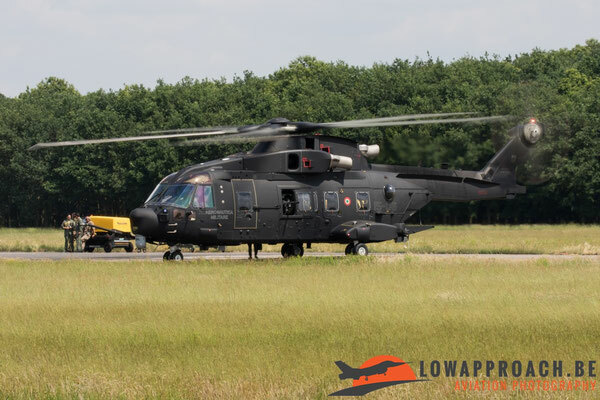 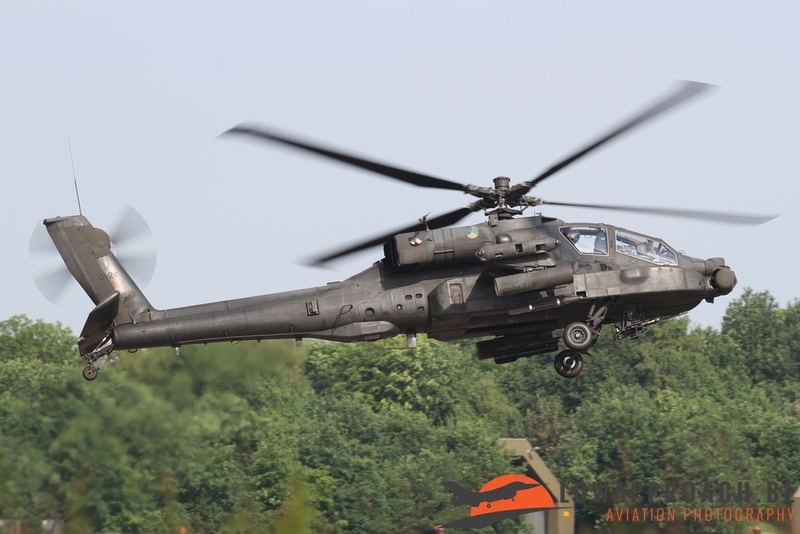 All the above mentioned participants flew from Gilze-Rijen Air Base. 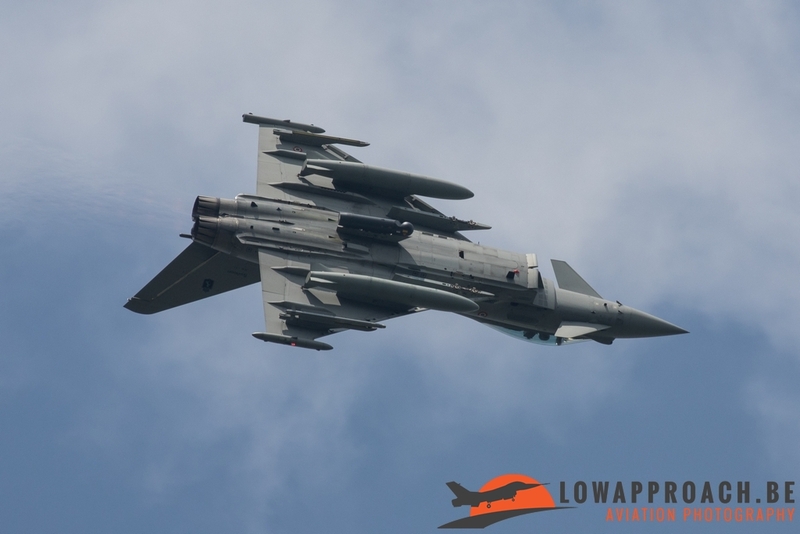 Also involved in the exercise were 2 RNlAF F-16’s, but these flew from their homebase. 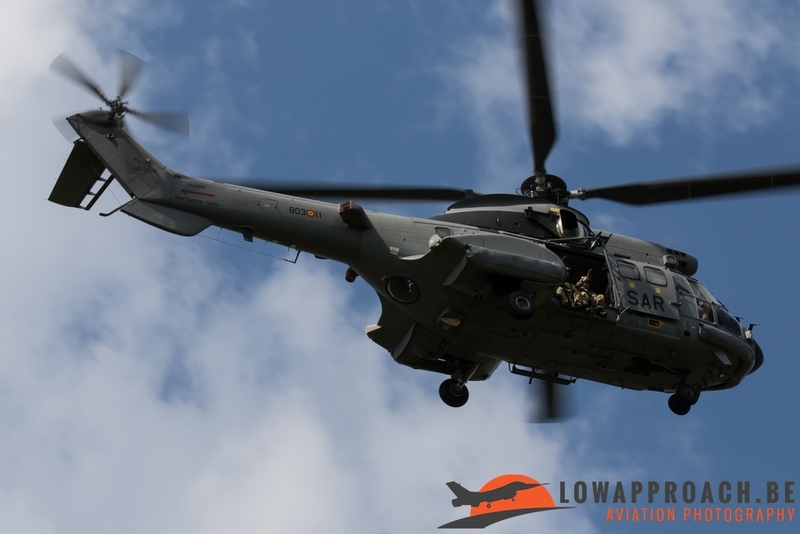 The exercise was held at 9 different locations in The Netherlands (6) and Belgium (3). Flying missions started on the 28th of May after all the participating crews had taken part in a couple of theoretical days. 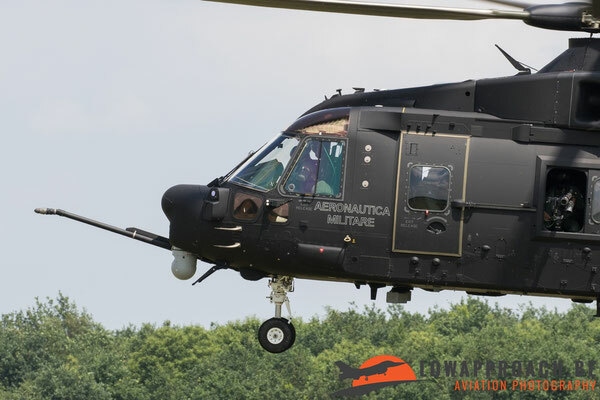 3 missions were flown each day from the 28th of May until the 6th of June. 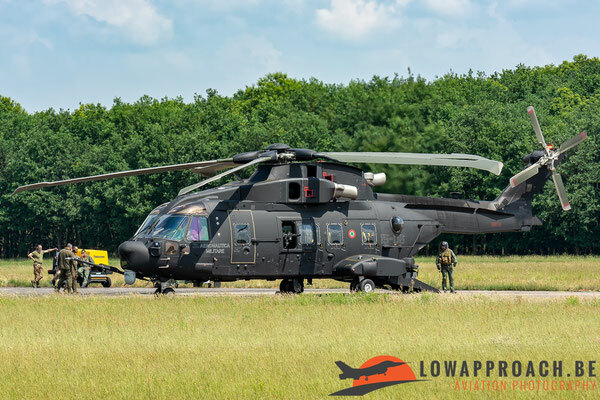 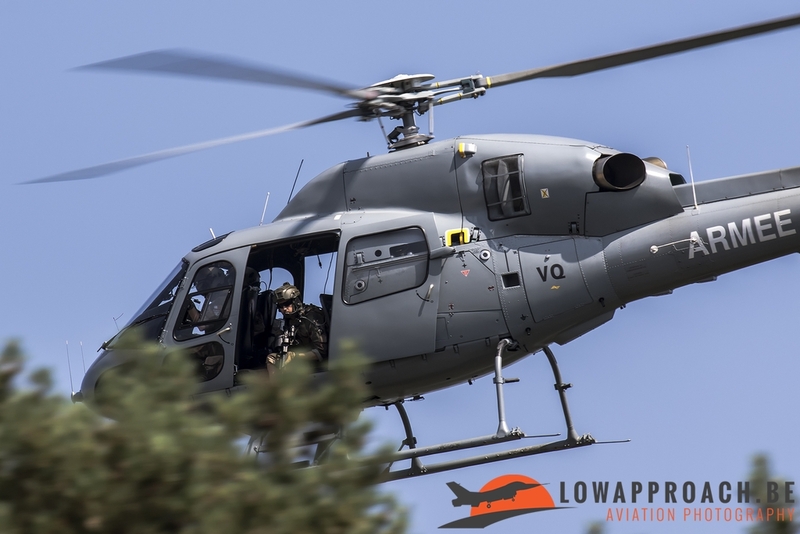 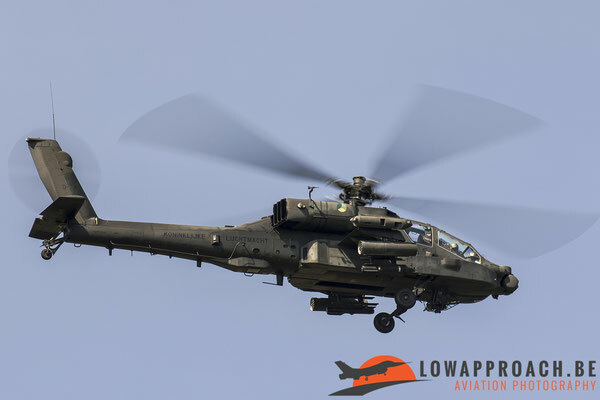 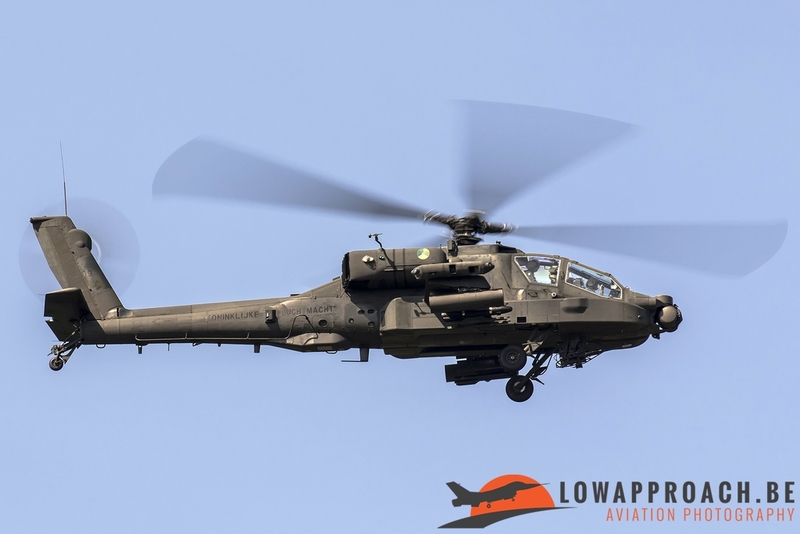 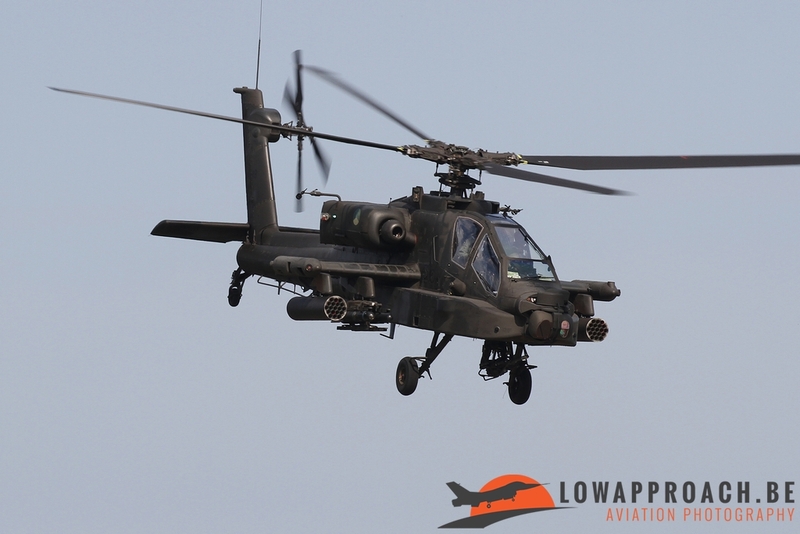 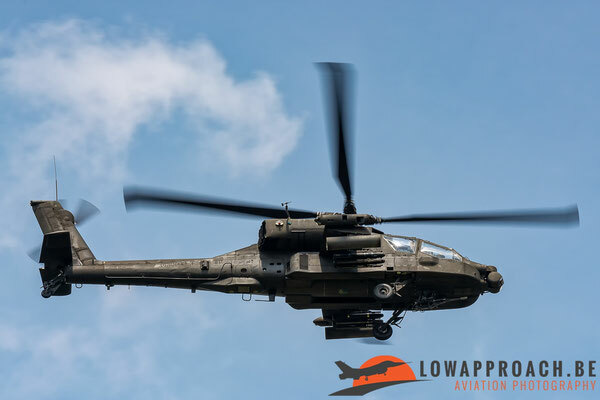 Throughout the period that the exercise was held, various members from our team made a visit to Gilze-Rijen in the hope to catch the participating aircraft. Laurent went to the arrival days. 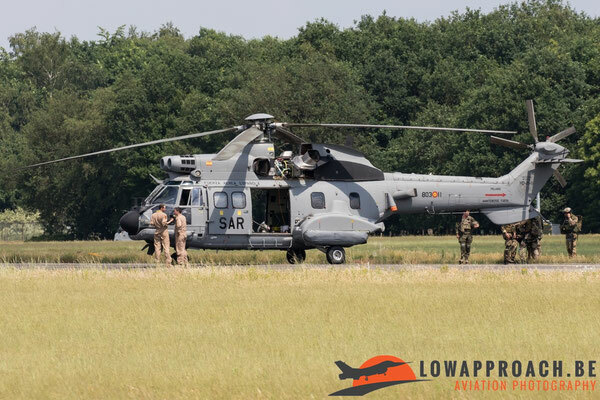 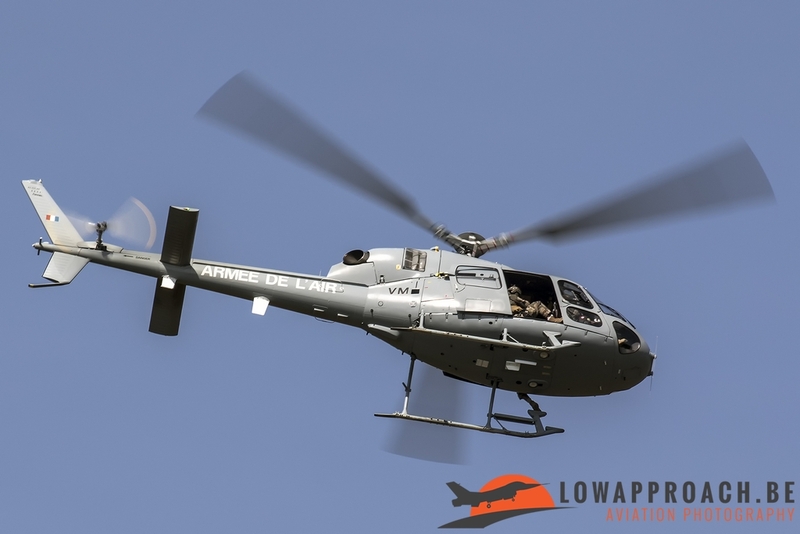 Beside the arriving participants for the APROC-exercise, he also managed to catch the support aircraft that brought over equipment and ground personnel. Tim visited the exercise on the first flying day. Before the start of the exercise each day all the foreign participating helicopters were positioned on the south side of the short runway, next to the slopes. The majority of the members made a visit to Gilze on the 30th of May. 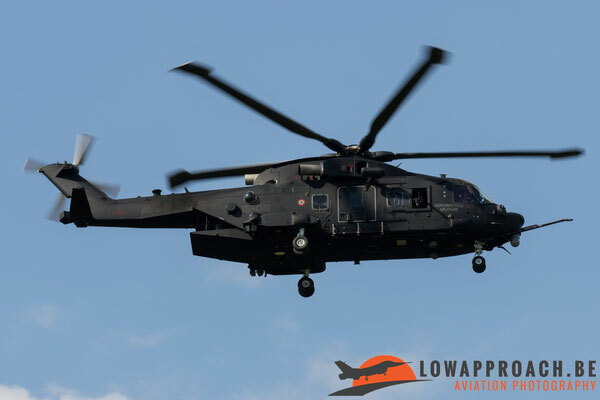 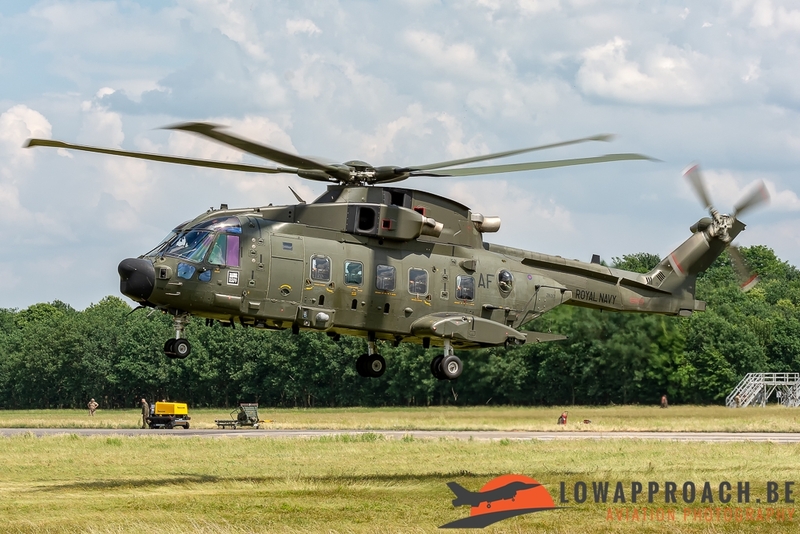 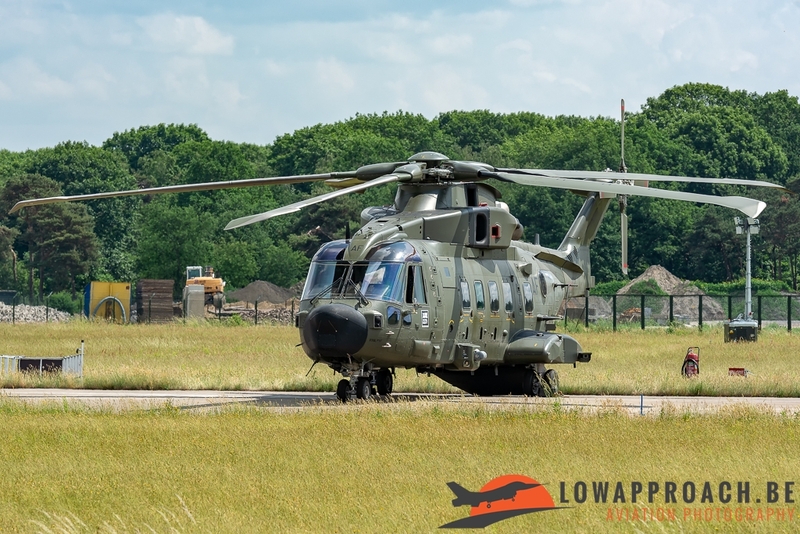 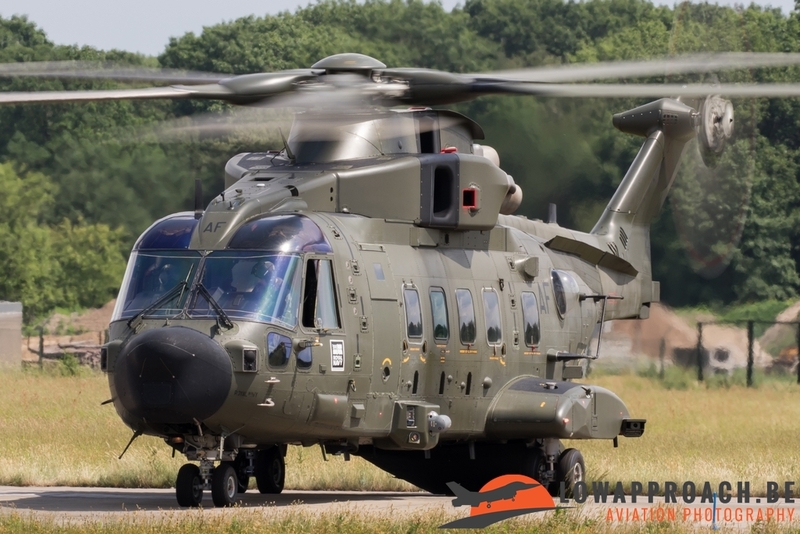 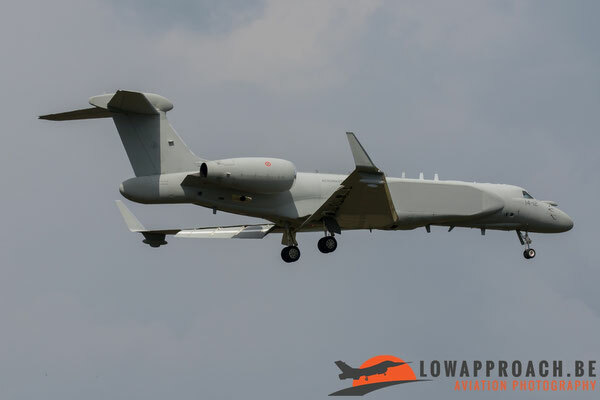 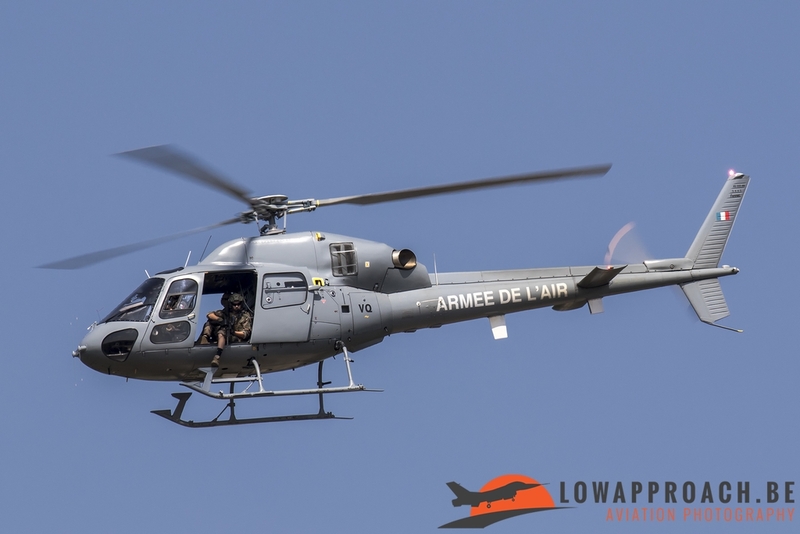 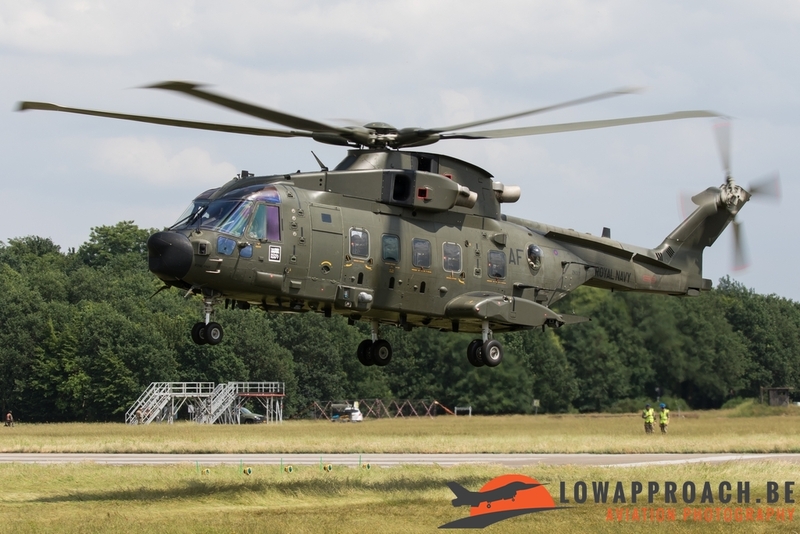 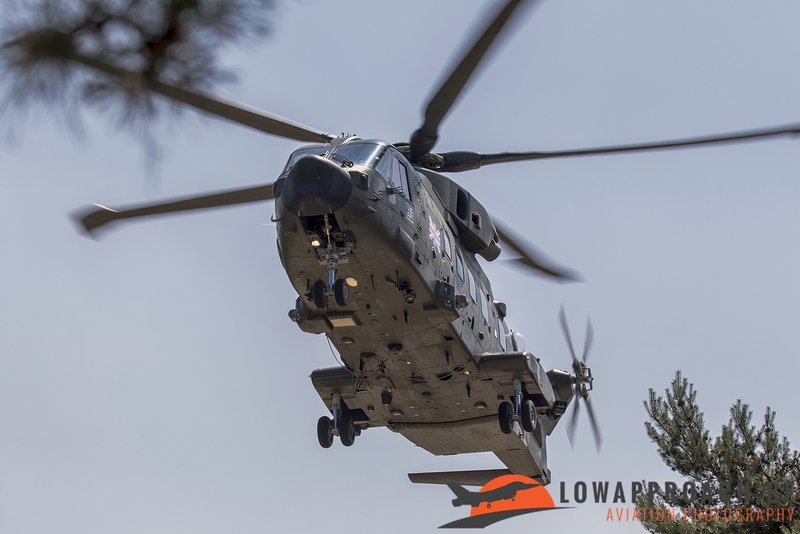 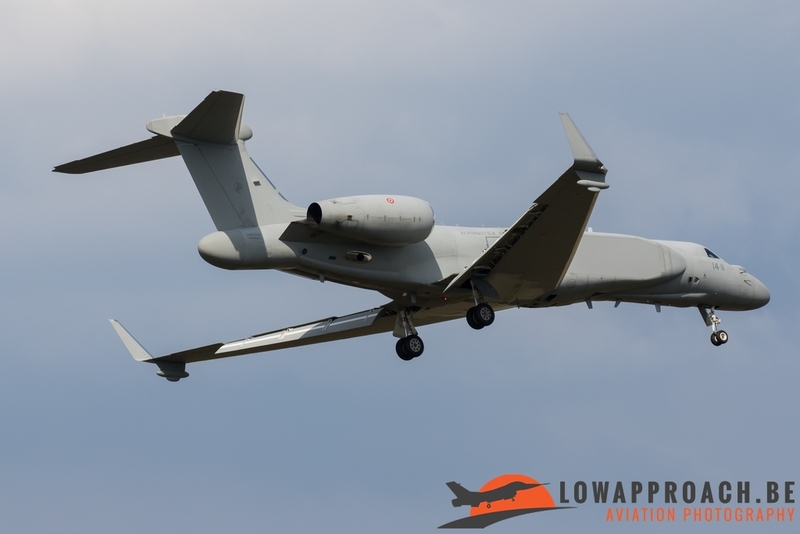 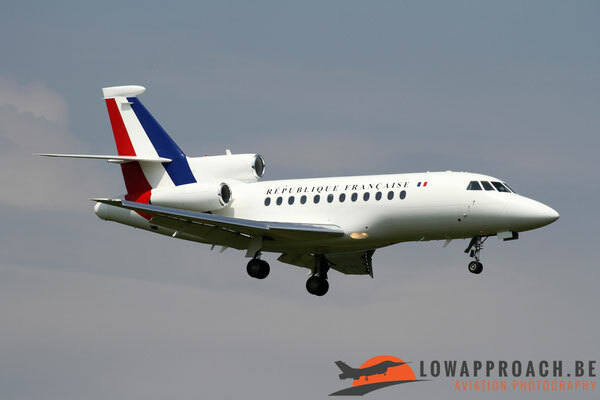 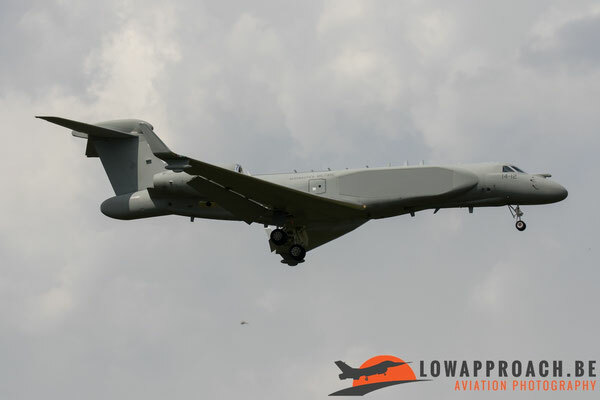 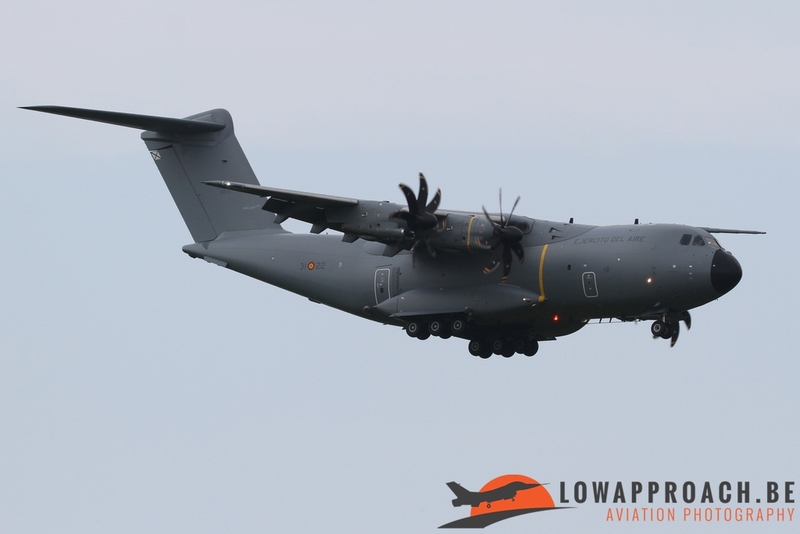 This proved to be a good choice because, besides the regular missions flown on that day, they also had the luck to see the arrival of the second G-550-AEW from the Italian Air Force. 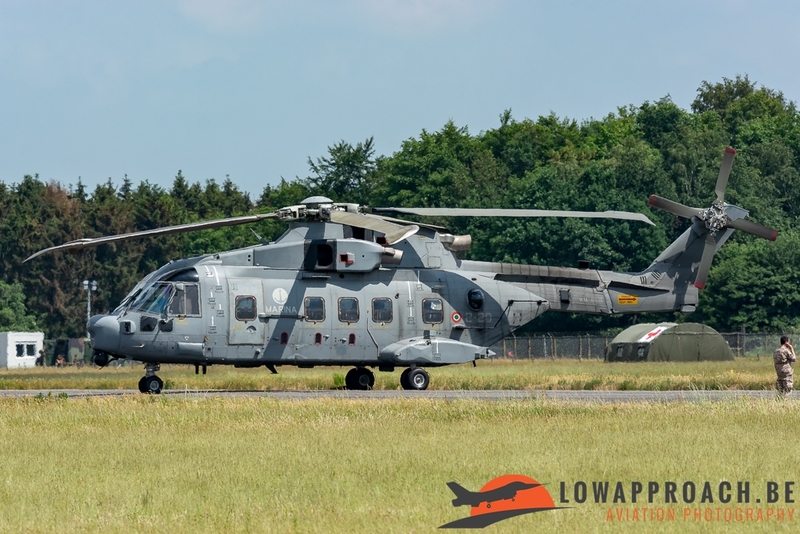 So for a couple of hours the whole EAW fleet from the Italian Air Force was present at Gilze-Rijen as they own just 2 of these airframes. 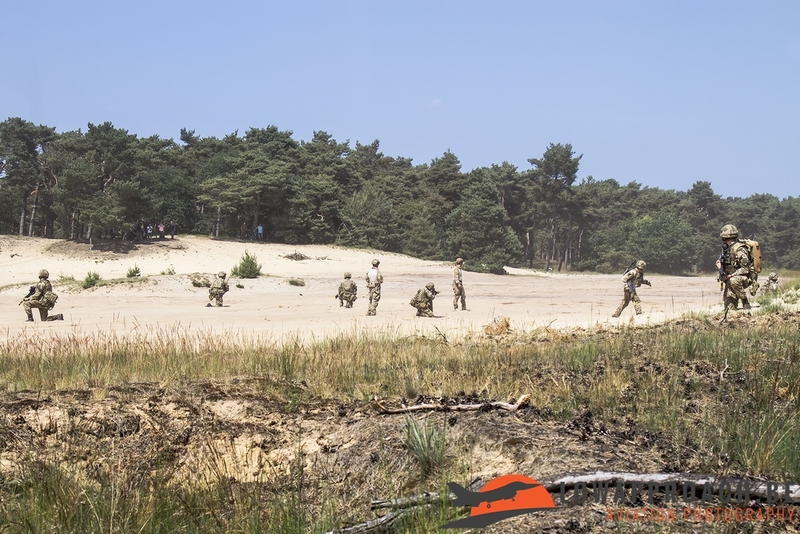 On the last day of the exercise Tim went to a training area close to the Belgian/Dutch border. 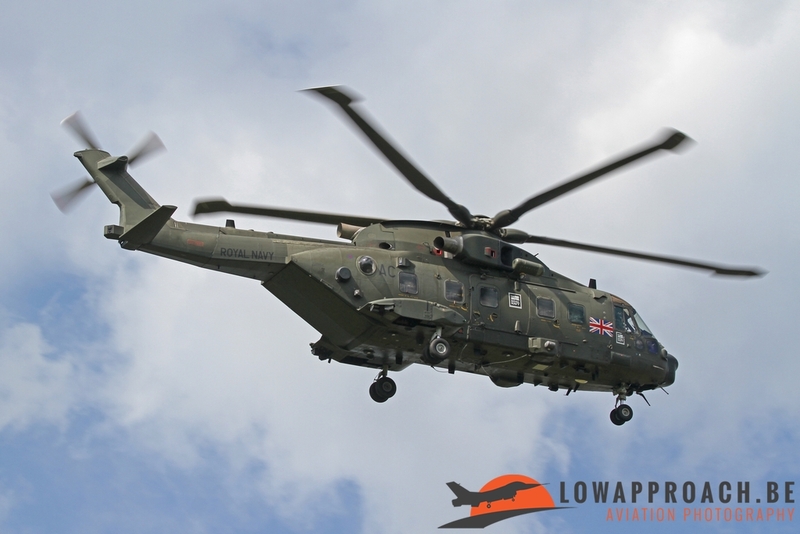 Here one of the 3 missions from that day were flown. 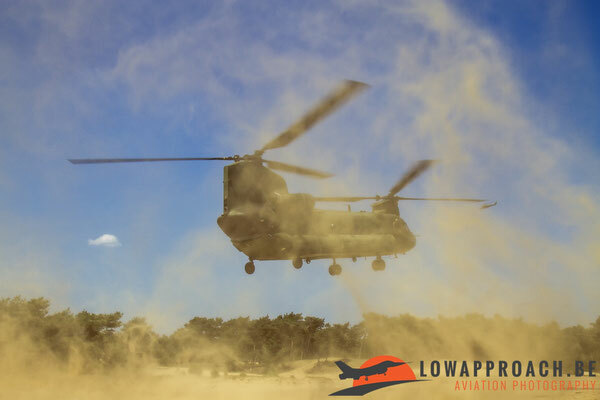 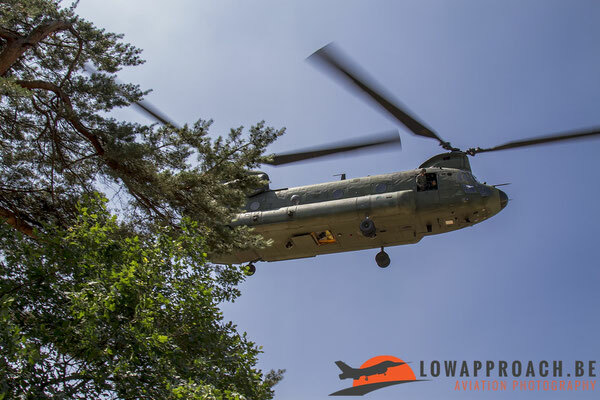 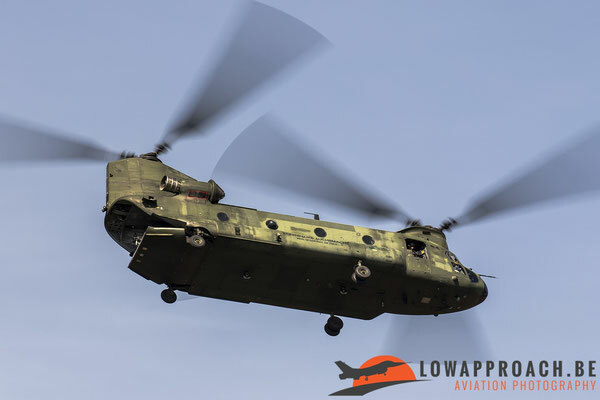 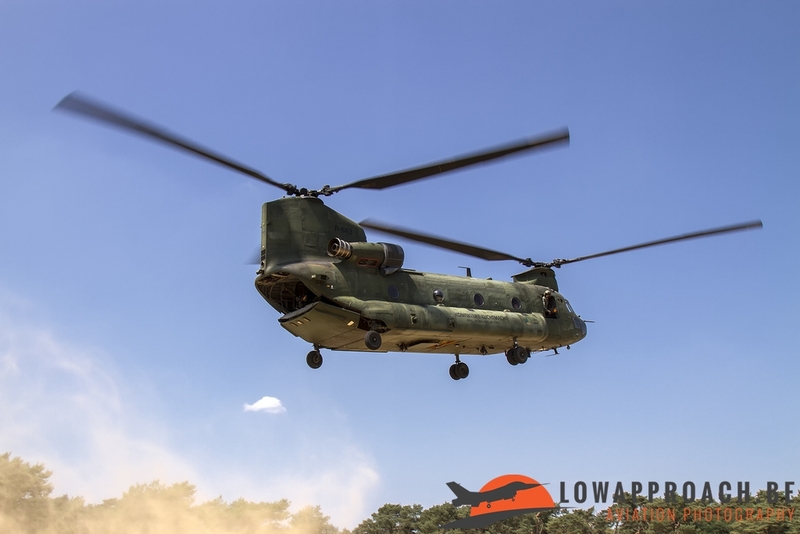 In order to pick up the trapped crew, a RNlAF Chinook dropped off ground troops that had to locate the trapped crew. 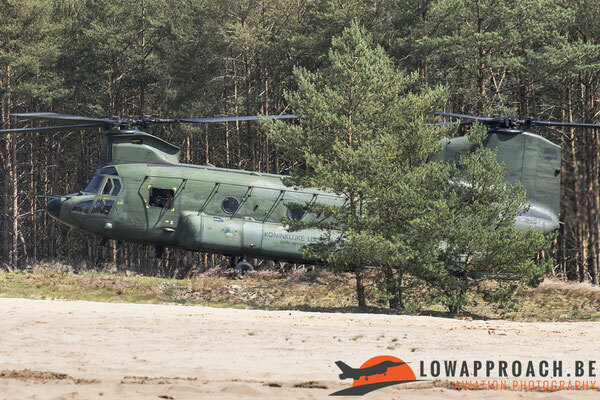 Before the Chinook landed the area was cleared by a French AS555AN and Polish Mi-24V. 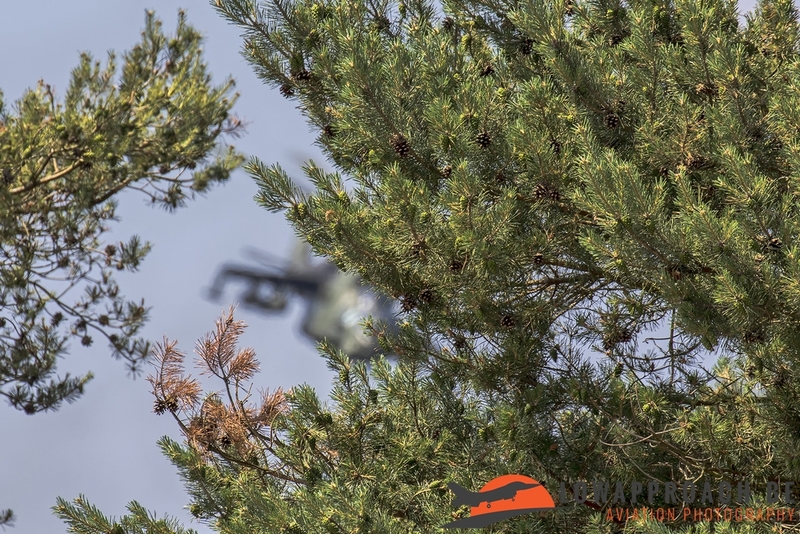 While the troops were searching for the crew the 2 helicopters kept providing overhead cover. 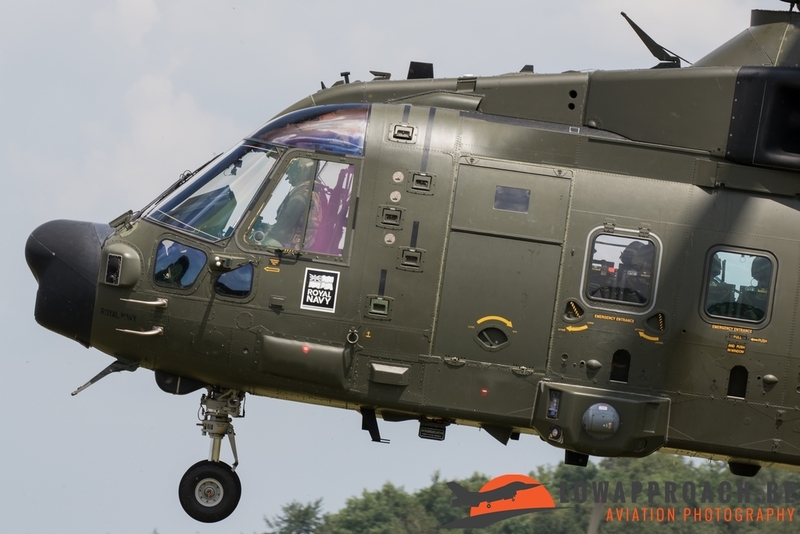 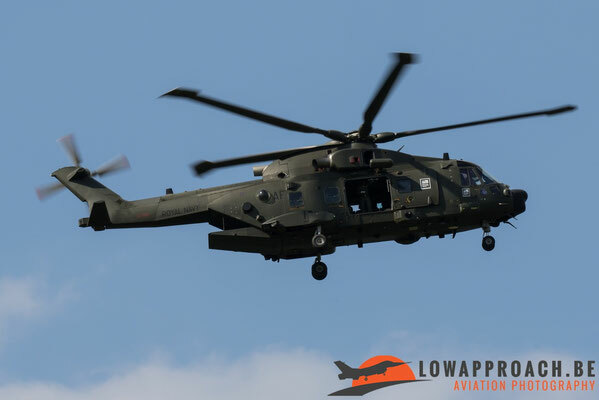 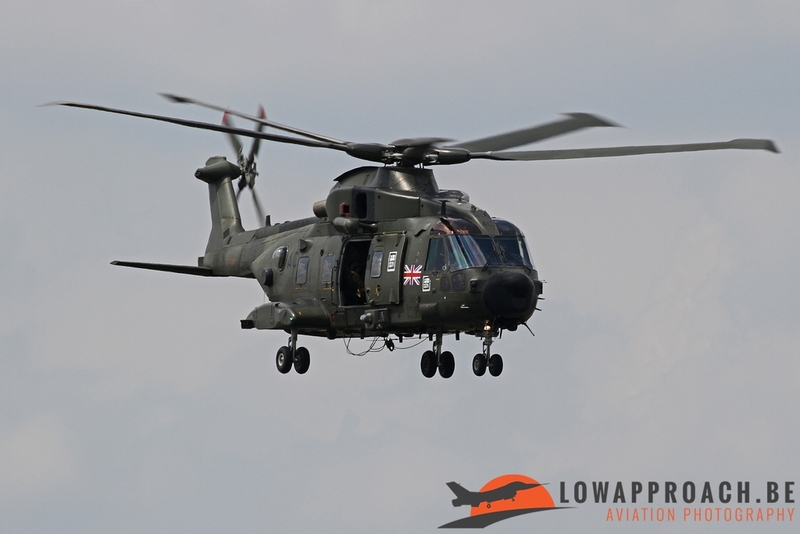 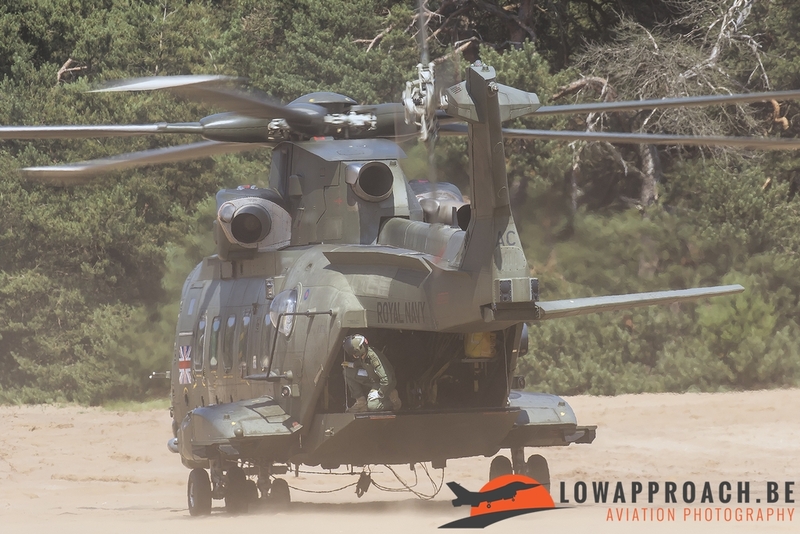 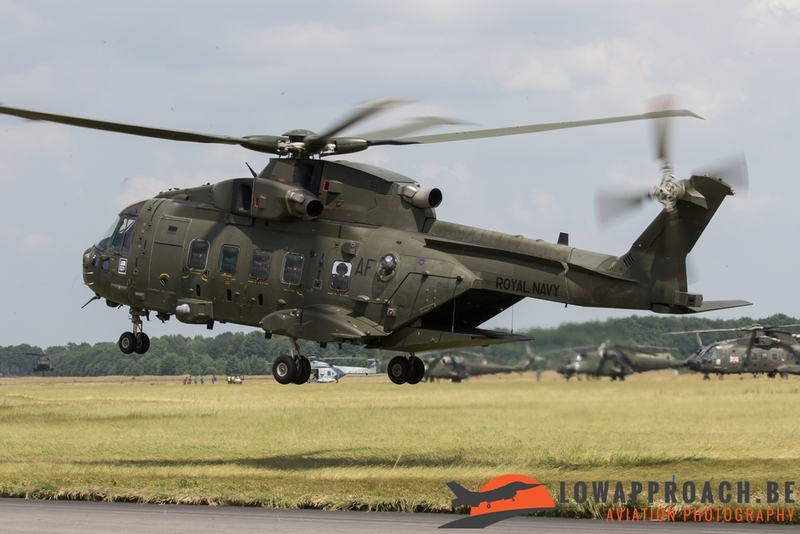 Once the crew was found a Royal Navy Merlin came over to pick the crew up and shortly afterwards the remaining ground troops were picked up by a RNlAF CH-47D. 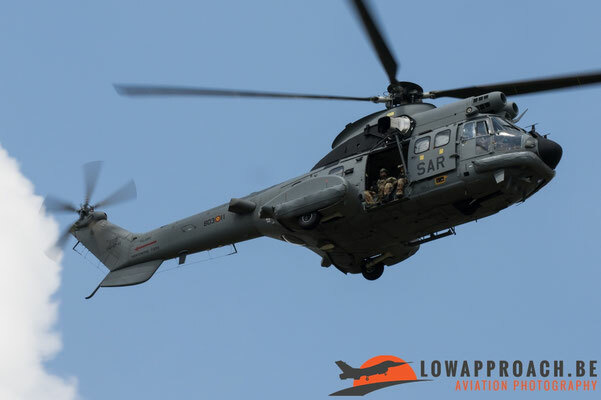 In 2019 the APROC-exercise will be held in Spain. The participating aircraft will fly out of Zaragoza Air Base.